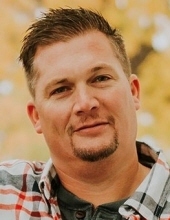 Andrew “Andy” M. Fetsch, age 42, of Lindstrom, MN passed away on Sunday, February 3, 2019. Andy is survived by his wife Nikki; (children Tristan and Sawyer), Lindstrom; his mother Susan Dorfner and step-father Jim Dorfner (children Corbin and Cassie), Carlton; his father Jerry Fetsch, Cloquet; his brother Greg and Taresa Fetsch (children Ethan, Gavin and Mason), Otsego; his sister Staci Privette (children Logan and Caden) Sturgeon Lake; his sister Becky and Tim Pretasky (children Lexi, Christian, Ben, Sam, Cali, Mira and Gigi), Meadowlands; sister Michelle Fetsch, San Francisco, CA and many extended aunts, uncles, nieces nephews and friends. Andy was Vice President of Construction Services at Go Fetsch Mechanical (GFM), a full-service professional commercial and residential heating, air conditioning, and refrigeration company established in 2004. He was a journeyman pipe fitter, a member of Local Union 539 and proudly represented the pipefitting and HVAC/R-related industries in and around the Twin Cities since 1997. He partnered, in his words, with many of the finest construction trade companies in the area and employed the best workers in doing their jobs. Andy graduated from the Willow River High School in 1995. He attended Dunwoody College of Technology in Minneapolis and was licensed in HVAC System Design Technology. Andy was a good student in high school (a late bloomer in his words). He was an outstanding athlete and was selected to participate in the 1994 Minnesota High School All-Star Football Game. He maintained an A average at Dunwoody and took that knowledge and built GFM into a successful company. Andy was reluctant to brag and expressed his desire to not highlight his many accomplishments and achievements. The one achievement that Andy was most proud of was winning the District Spelling Bee in sixth grade. He never missed an opportunity to remind family and friends (tongue in cheek) of this high honor and proudly displayed his blue ribbon as conspicuously as possible. In his spare time Andy enjoyed out fishing his brother Greg, his father-in-law Gary, his brother-in-law Chad, his son Tristan, his mother Sue and step father Jim and anyone else in the party. He loved the water and enjoyed captaining the pontoon or testing human limits on various water toys. No one but his sons Tristan and Sawyer dared be on a tube when Andy was driving the boat. The ride was wild and crazy but Tristan, Sawyer and Andy loved it! A Celebration of Andy’s life will be held at Vannelli’s, 55 Lake St S, Forest Lake, MN 55025 on Friday, 2/15 from 4:00 PM - 8:00 PM. Andy would remind everyone of two things: First, Vannelli’s, then named Upper Deck Bar and Grill, was the location of his first date with Nikki and second, the occasion is a celebration of Andy’s life, not a funeral for his death. Andy was happy for his life and asked that we celebrate it! In lieu of flowers, memorial donations can be made to “Andy’s For the Kids Fund” at Taylors Falls Elementary School, 648 West Street, Taylors Falls, MN 55084. This fund was started by Andy and Nikki years ago and serves the needs of children in the Taylors Falls Elementary School. To send flowers or a remembrance gift to the family of Andrew M. Fetsch, please visit our Tribute Store. "Email Address" would like to share the life celebration of Andrew M. Fetsch. Click on the "link" to go to share a favorite memory or leave a condolence message for the family.